Known as the City of a Hundred Spires, Prague is one of the most charming cities in Central Europe. Majestic cathedrals, towering church spires, magnificent Gothic bridges and quaint walled courtyards all clamor for attention as you walk along the meandering cobbled lanes of the city. A visit to the iconic Prague Castle is a must, as is a visit to the picturesque quarter of Lesser Town, which is home to the Church of St. Nicholas, a brilliant example of Baroque architecture. Of course you cannot leave the city without spending time at the Old Town Square, which houses the famous Astronomical Clock. The list of things to see and do in this magical city is long – very long. Whether you are in Prague to marvel at the architecture, ramble around the old city streets or soak in the romantic atmosphere, this is a city that has something for everyone. The unique architecture, central location, personalized service and chic interiors are some great reasons to stay in a boutique hotel in Prague. Limited rooms ensure that you will enjoy personalized service during your stay in the city. Located in the very center of Prague, the Residence Karolina Prague is designed in a cool combination of style, elegance, comfort and luxury. Booking a room in this boutique hotel ensures that you are within close distance to all popular sights, exciting venues and major shopping centers. 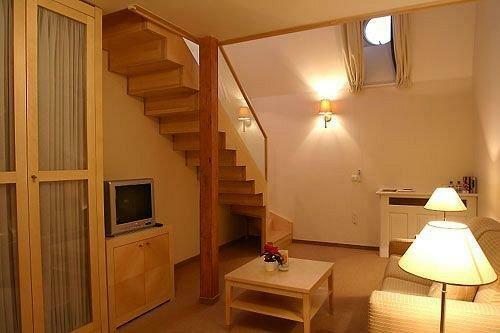 The Residence Karolina Prague offers 20 spacious apartments of varying configurations to suit different requirements. Every apartment is fully equipped and furnished with maximum comfort in mind including a fully equipped kitchen and wi-fi in every room. The exemplary customer service deserves special mention. Whether you need assistance with your grocery shopping, dry cleaning or booking tickets for cultural events, or you need someone to babysit your little one while you enjoy a night out, the professional staff will take care of it all for you. They are at your assistance 24/7. Airport and train station transfers are also taken care of so that’s one more thing you do not have to worry about. 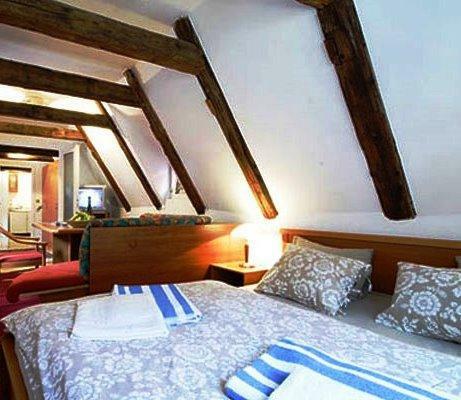 The Old Prague House is a family-run boutique guesthouse located in the center of the old city. The structure dates back to the early part of the 15th century and is listed as a protected historical building because of its authentic representation of the architecture and craftsmanship of its time. If walls could talk, imagine the stories you would hear when you stay in this historical boutique hotel. The Old Prague House is located in the vicinity of equally historical city attractions, including the National Theater, Charles Bridge, Prague Castle, Wenceslas Square and the Old Town Square. It is also located close to popular trendy pubs and clubs. In the same building as this boutique hotel, there is a bistro and restaurant that are renowned for serving traditional Czech cuisine. The Old Prague House has 12 spacious rooms, beautifully furnished to provide all the modern comforts and luxuries any guest would look for, while retaining the inherent old-world charm of the House. Constructed in 2006, this modern boutique hotel offers elegant and comfortable accommodation in the real heart of the city. 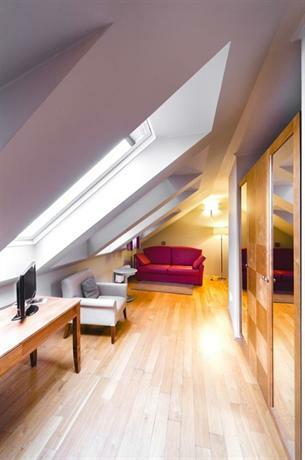 Residence Agnes Prague is located in close proximity to Old Town Square and Wenceslas Square. 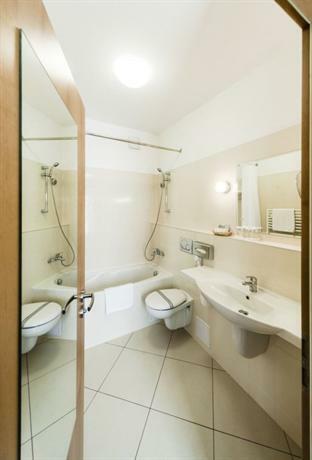 It is also just a few steps away from Namasta Republiky subway station, and offers easy access to Charles Bridge, Prague Astronomical Clock, and Palladium Shopping Center. Prague Main Railways Station is just 900 meters away, making it really convenient to travel to other parts of the city. For those days when you want to step out in style, Residence Agnes Prague offers guests limousine rental services at surprisingly reasonable rates. Within the hotel premises guests enjoy a wide range of amenities from Wi-Fi connectivity and luxurious spas to numerous sports and leisure activities, including horseback riding and racquetball. For the ultimate in comfort and privacy, all rooms are non-smoking, soundproof and allergy-free. Buffet breakfast is served at the in-house café from 7.30 am until 10 am, but guests can also enjoy with the 24-hour room service. 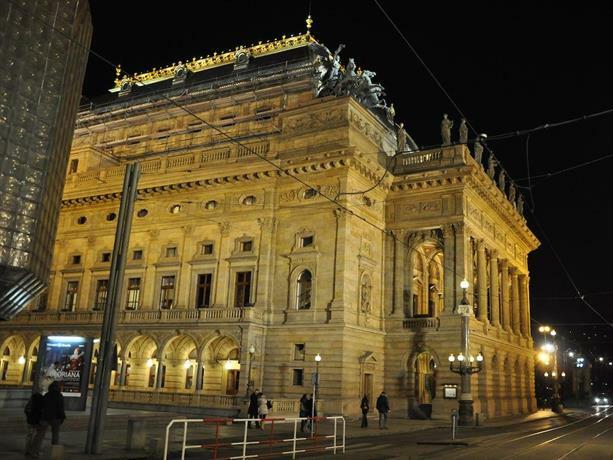 Located in the Old Town of Prague, the Unitas Hotel is and just a few steps from the Old Town Square, National Theater and the Charles Bridge. It is also close to several magnificent art galleries, quirky restaurants, modern shopping arcades, museums and bric-a-brac stores. Surrounded by so much excitement, you know there will never be a dull moment when you stay at this modern boutique hotel. Starting out as a Convent and later converted into a hotel, the Unitas exudes old-world charm despite its modern façade. With spacious rooms that are artistically decorated with inflammable furnishings, decorations and carpets, it’s easy to see that safety has remained at the forefront of the interior decor. The comfortable king size beds, intricately carved chairs and cozy sofas in each room are all locally made to give you an authentic taste and feel of the place. In addition to 24-hour reception and a bar in the lobby, the hotel offers free Internet connectivity, DVD players in the rooms, direct dialing facility, satellite TV, air conditioners, minibar and a safety deposit box that is large enough to house a notebook. Sitting at the famous Charles Bridge, the Charles Bridge Economic Hotel is right in the middle of all the excitement. You’d be hard put to find a more centrally located hotel. 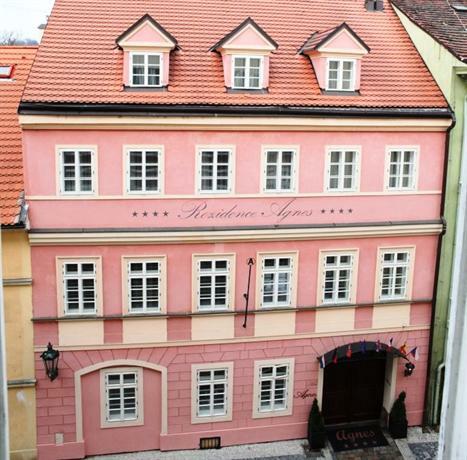 From this charming boutique hotel, you can reach any popular Prague monument within minutes. 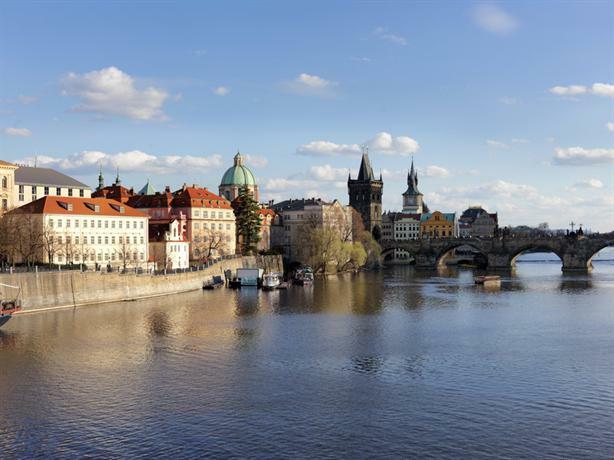 Whether you plan to spend the day shopping, visiting a historical museum or rambling around the city, most attractions, monuments and museums are just a brisk walk away from the Charles Bridge Economic Hotel. The spacious rooms have been recently done up in a modern, trendy style that adds to the overall ambiance. Each room is fully furnished and comes with a fully equipped kitchen. Free Wi-Fi, fabulous unlimited Nespresso coffee and a tourist information centre in the lobby will all make your experience all the more enjoyable. If you want to get an up close and personal view of Prague’s history of the eras gone by, the Charles Bridge Economic Hostel is the place to be. If your idea of the perfect getaway is a gothic-styled yet cozy place that exudes regal charm, you will find that the Alchymist Nosticova Palace fits the bill perfectly. Every corner of this 17th century residence is ornately decorated with sumptuous furnishings, elaborate artwork, valuable antiques and gold accents, all of which are symbolic of royalty. This quirky boutique hotel has 16 spacious rooms and suites, all decorated differently and each one named after a great historical figure. Baroque-inspired décor, flamboyant rooms, marbled bathrooms, canopy beds and even an attic suite that is replete with a balcony and a piano, you will be surrounded by all that is royal and luxurious during your stay at the Alchymist Nosticova Palace. Free Wi-Fi, a buffet breakfast, valet parking and a complimentary glass of house wine served daily in the San Carlo Italian Restaurant, this hotel has ticked off all things on the list that make you feel like royalty. Nestled in the charming Mala Strana district of Prague, the Aria Hotel Prague is absolutely the coolest boutique hotel for music buffs. The music concept is incorporated in every corner of the hotel, from the lobby to the rooms. Guests can choose from 51 luxurious rooms and suites, each one inspired by a special genre of music or one particular musician or composer. From Elvis and Billie Holiday to Beethoven and Mozart, music lovers can book a room that best reflects their taste in music. A Private Screening Room and an impressive Music Library allow guests to further indulge in their love for music. If you have a penchant for music, you cannot help but fall in love with this five-star boutique hotel and its musical repertoire. 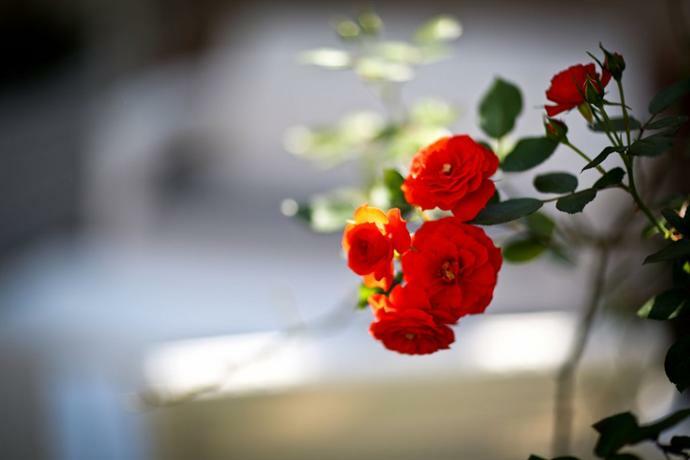 During the summer season, guests can use the hotel’s private entrance to to the Vrtba Garden, a UNESCO World Heritage site and one of the oldest Baroque gardens in Prague. Stepping into the Hotel Quenstenberk is like entering a dream world. Built in the 1620s, this unique 4-star boutique hotel offers guests an enchanting glimpse into the the rich history of Prague. Nestled in the serene Golden Prague area, Hotel Quenstenberk is only a few minutes away from the Prague castle, Loreta, Golden Lane and Prague’s biggest park. Each of the 27 rooms offer guests with spectacular panoramic views of Prague Castle, the Old Town, Petrin Park and various architectural wonders that dot the city landscape. Guests can choose from the superior, deluxe, grand deluxe and standard room. Every room has its own charm and appeal with wooden beams and wooden flooring adding to the quirky, rustic charm. Private tours, 24-hour concierge service and transport facilities are yours for the asking at Hotel Quenstenberk. bus stand, tram station and subway station are all nearby too. There are several room types you can choose from, depending on the number of people in your party. All rooms come with a king/queen size bed, minibar, centrally controlled air conditioner, designer toiletries and a Nespresso coffee machine. This cool hotel possesses an even trendier restaurant called U Dominikana, which tantalizes your taste buds with traditional Czech cuisine. 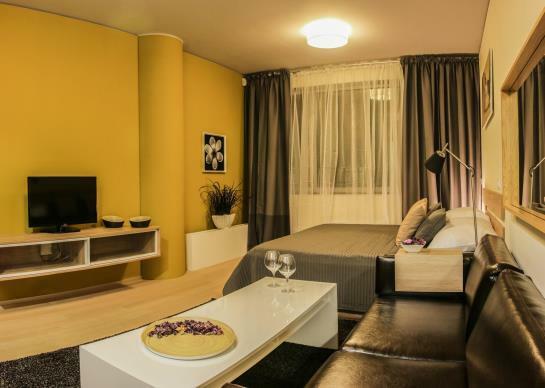 With rich interiors and convenient facilities, the Savic Hotel is a great choice for any visitor to Prague. 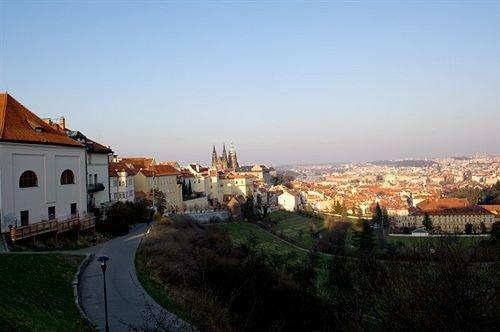 The trendy Appia Residences is set amidst breathtaking vistas in the oldest parts of Prague. Some of the most popular attractions and top shopping destinations are within walking distance. You can choose from junior suites and grand apartments in different configurations, some of which are equipped with fully functional kitchenettes. Buffet breakfast is served in a 12th century hall that retains some of its original décor and ambiance. Guests have access to high speed complimentary Wi-Fi throughout the hotel premises. The Ventana Hotel Prague is chic, up-to-date with the times and is situated at the Old Town Square, just opposite the Old Town Hall in Prague. The interiors of the hotel make you feel at home as it provides comfortable and well-designed accommodation that is ideal for anyone, no matter what your preferences. The rooms overlook the renowned Old Town Square or the Tyn Cathedral so you can soak in the sights even without leaving the room. You can choose from 30 well-appointed suites and rooms, each one done up with custom furnishings, high-tech features and stylish décor, a built-in wardrobe and an in-room safe. A deluxe mini-bar is available so you can sit back and relax after a hectic day visiting the many delightful monuments and sights scattered in the vicinity. Wenceslas Square Terraces is a chic and classy boutique hotel located just 1 kilometer away from the iconic Charles Bridge. The rooms are done up in ultra-modern décor and come with a DVD player, a flat-screen TV and air conditioning along with a host of other facilities including a convenient open-plan kitchenettes. While you may cook lunch or dinner, don’t bother with breakfast. With five types of breakfasts to choose from, you will be spoilt for choice at this meal. This self-catering accommodation is about 30km away from Mustek Metro Station. Simple, minimalistic yet bold and refined, Wenceslas Square Terraces is sure to leave a lasting impression on you. 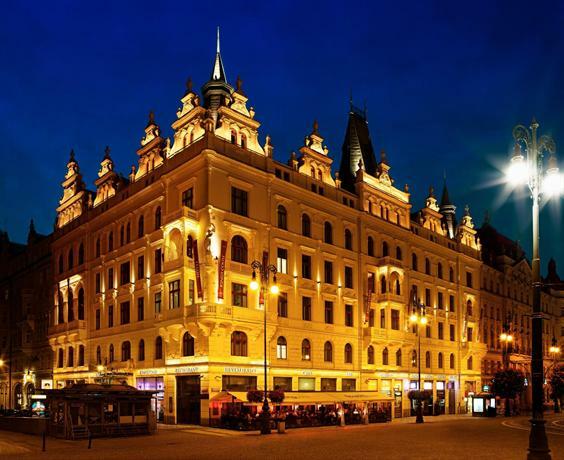 This 5-star boutique hotel was formerly the seat of the Czech Chamber of Commerce. 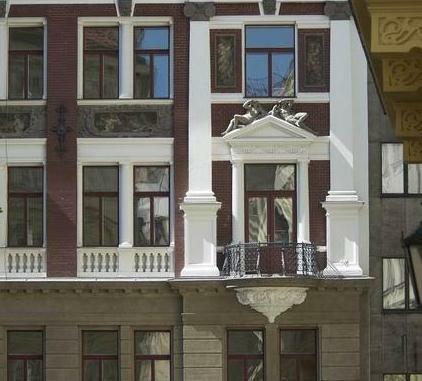 The historical, neo-Renaissance-style architecture adds to the allure of Hotel Kings Court while all rooms offer breathtaking views of the historical city centre as well as the magnificent Municipal House. Hotel Kings Court offers luxury accommodation at its best with 137 rooms that are spacious, comfortable and sumptuously furnished. You can choose from deluxe, executive or adjacent deluxe rooms or suites in assorted configurations. Original furniture and rich wallpaper adorn the rooms and suites of this charming boutique hotel. The Brasserie mEating Point offers tantalizing Czech, International and French cuisines with panoramic views of Republic Square. If Vodka is your drink of choice, a visit to the Vodka Lobby Bar is a must. This lively bar serves some of the world’s finest Vodka brands. If romantic and comfortable is what you are looking for, then The Golden Wheel Hotel is the perfect boutique hotel for you. 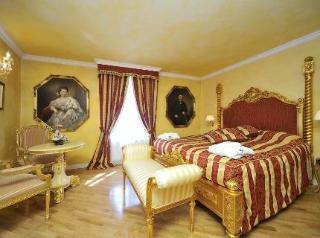 The Hotel is located within short distance of the Charles Bridge and Prague Castle. Sitting on a street that was once frequented by Czech kings as they made their way to St. Vitus Cathedral, the air of royalty that surrounds this unique boutique hotel is unmistakable. Sculptures created by the world renowned Italian sculptor, Paolo Piazza give the interior a wonderful artsy feel. Coffee and tea services, satellite TV, a minibar, Ethernet or Internet connection (wireless) are all available for your convenience. It’s the perfect hotel for those looking for a little peace and quiet as they take in the mesmerizing views of the sculptures and the beauty of Prague. Four Seasons Hotel Prague flawlessly intertwines centuries-old architecture and history with modern technology, blending together old and new in a way that is truly inspiring. An enclave at the periphery of the Vltava River, this unique hotel encompasses three historic structures of the baroque, renaissance and classical periods so that the eras gone by can be witnessed by the people even today. 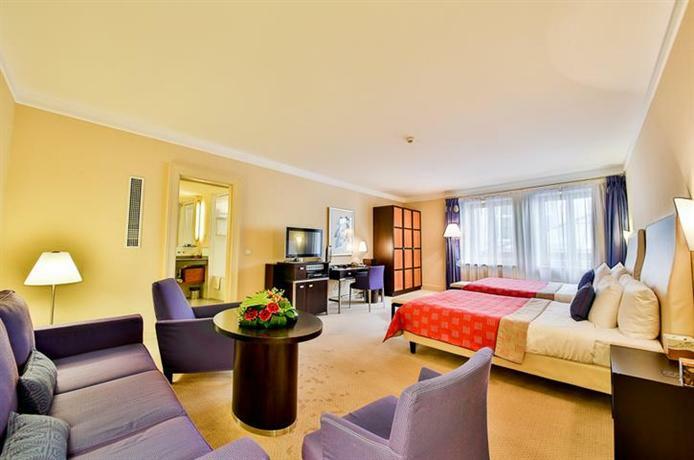 The Four Seasons Hotel Prague offers guests 138 guestrooms and 19 suites. Cotto Crudo, the hotel’s modern Italian restaurant serves authentic Italian dishes in chic, contemporary surroundings. The Ava Spa at the hotel beckons to those who want to sit back and relax after a day of sightseeing and shopping. When you visit Prague, you just have to stay at the Archibald At The Charles Bridge Hotel Prague. Not only does it offer you a spectacular view of the historical 15th century bridge but the hotel itself is beauty and elegance personified. The hotel consists of 39 rooms and offers accommodation in 22 double rooms, 4 suites, 9 new rooms in the hotel garden and 4 deluxe rooms. The food and its quality speak for itself at the hotel as you are spoilt for choice when it comes to the variety of cuisines, dishes and selections. If you like to read, you can spend your time in the hotel library and if you need internet connectivity, the free Wi-Fi will do the needful.